I can’t even begin to explain how excited I’ve been about this new Nordstrom launch! I’ve been a reader of Something Navy’s blog for YEARS. I love everything about her effortless, trendy, chic city style, so you can imagine my excitement when I found out that she was designing a collection with Nordstrom and TREASURE & BOND. Talk about an amazing collaboration. Some of the girls on the Something Navy team have been answering questions this past week over on their Instagram so I thought I would share them on here as I found them super helpful while shopping for sizes and such. How does the sizing run? True to size? Most of the pieces are offered from an XXS – XL. Denim starts at 23 and skirts are 0-14. Shoes are offered size 5-11 including half sizes. Apparel is all true to size so whatever you would normally wear. EXCEPTIONS: Both skirts and black jeans only run slightly large so size down on these. All the basic knit sweaters are intended to be more of a boyfriend fit and oversized so if anything, size down if you prefer to be more fitted. Shoes all fit true to size! Will the products be restocked once they sell out? Unfortunately no! Only thing we can think of is if people return sizes but no one wants to rely on that! The TBxSomethingnavy line will adhere to Nordstrom’s standard return policy…which is the best return policy ever. Return for credit or refund or simply exchange for a different size at your leisure. What’s the one piece I absolutely need/favorites? Everything is seriously SO good….as a little background, Arielle actually had to cut the collection down (it took some time and wasn’t easy!) so these are all her absolutely must-have favorites that she was obsessed with. Which color do you suggest buying of the flats? So tough! We currently love the white leather since it’s perfect as a fall transitional color, but the silver is amazing for a statement shoe. 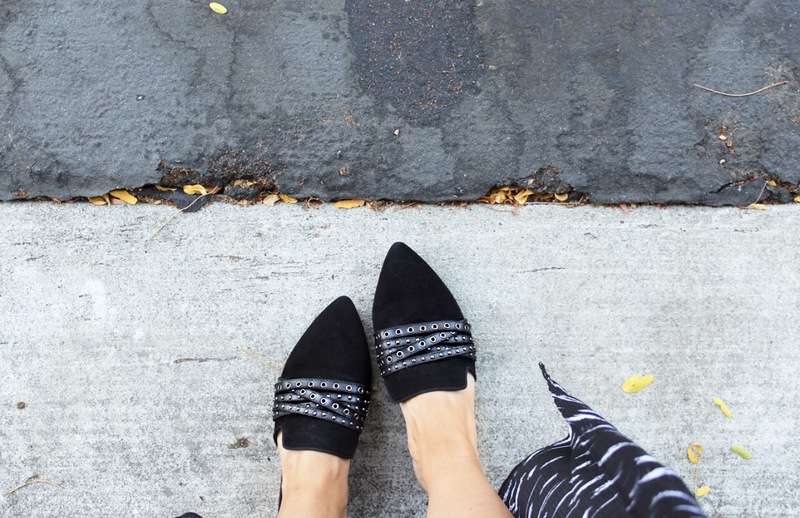 The black and navy suedes are perfect as a staple – you really can’t go wrong! Want to know what else I added to my cart and purchased from the collection this morning?!? THIS TRENDY FUN BELT – I love how different this belt is! 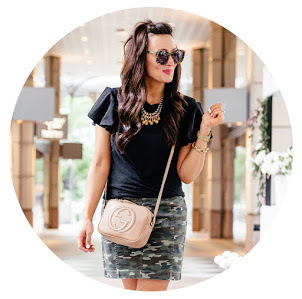 The knot is so chic and I love that you can choose between classic black or brown. THIS OFF THE SHOULDER KNIT SWEATER – This was one of the pieces I couldn’t wait to get my hands on. It’s SO flattering and perfect for the fall season. (I got the brown camel color in size small). THIS TEE – The perfect staple piece for jeans and booties. Love the fit and the length of the sleeves. THESE MULES: If there is one thing your purchase, make it a pair of these adorable mule slides They run true to size and come in 4 colors…..A MUST. Love something? Don’t wait. Once it’s gone, it’s gone! What a way to start the week, am I right?! Happy Monday!